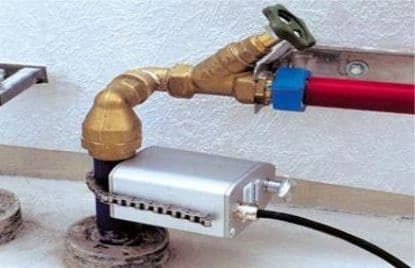 Plastic pipes with water under pressure require a different location technique using a ‘thumper’ and listening stick. The ‘thumper’ creates a distinctive pressure wave in the water in the pipe which can be traced with a reasonable degree of accuracy using an electronically amplified listening instrument. Locating non metallic (PVC, ferro cement) and metallic pipes using acoustics. 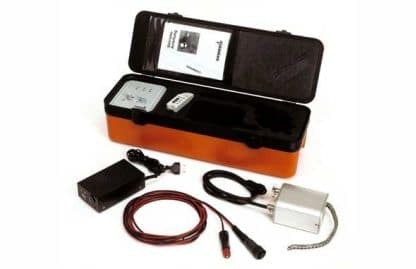 As plastic and fibre cement pipes are not electrically conductive they cannot be located with instruments such as the Sewerin UtiliTrac Pipe tracer- locator which work by detecting electromagnetic fields. 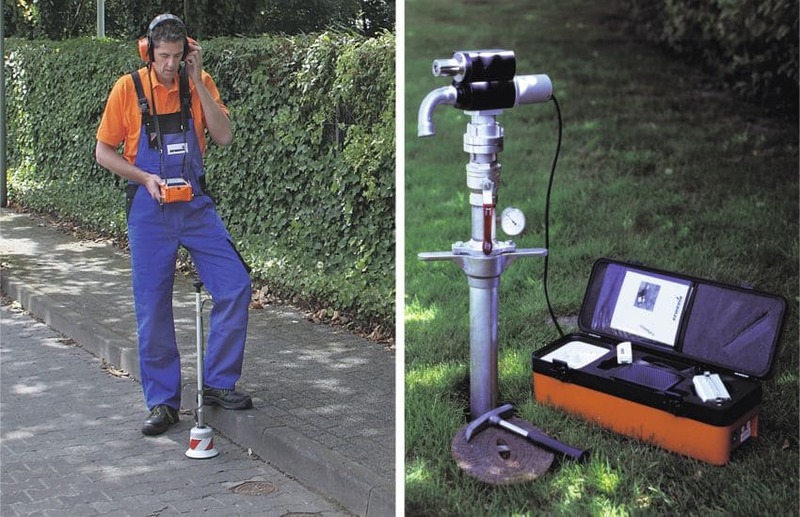 To locate and trace plastic and non metallic pipes Sewerin developed the System Combiphon® which utilises acoustics as the detection principle. The “Stopper” is an electrically driven, intensity controlled piston. It is attached to a hydrant standpipe. The hydrant is turned on and water is allowed to flow. The water flows through the Stopper. When the battery driven control unit, “G5”, is turned on it activates the piston in the Stopper which alternatively restricts and widens the water outlet. The water column in the pipe is consequently set in motion with a resulting “heartbeat” sound which can be detected on the surface with a ground microphone such as the Aquaphon® A200 or the Aquatest T10. Where the highest sound is heard is where the pipe is located. The intensity of the “heartbeat” is controlled via an adjuster on the stopper. In situations where there are competing sounds and you wish to turn the unit off to ensure that you are listening to the “heartbeat”, there is a remote control which allows for single man operation. An advantage in using an electrically controlled piston, as opposed to a spring one, is that changes in water pressure (caused by a supply pipe being turned off and on) have no effect on the intensity settings, this reduces the possibility of damaging a pipe. Due to the unique design of the piston the back pressure is minimal so damage to the pipe & house service fittings is highly unlikely. On smaller pipes such as house connections for water or gas the “Knocker” is used instead of the Stopper. It attaches around the pipe with an adjustable chain. When it is powered by the G5 control box it “taps” on the surface of the pipe and the resulting noise is heard on the surface by the ground microphone. Frequency & intensity can be adjusted via remote control. For example near walls less intensity is preferable but over longer distances, higher levels will travel further.